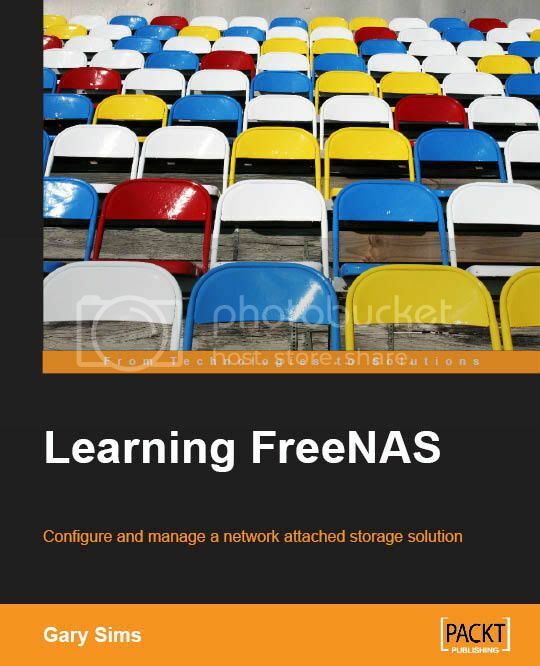 My book Learning FreeNAS is now available. The book is guide to the FreeNAS software and teaches you how to turn a PC into a Network Attached Storage server. This book will show you how to work with FreeNAS and set it up for your needs. You will learn how to configure and administer a FreeNAS server in a variety of networking scenarios. You will also learn how to plan and implement RAID on the server as well as how to use Storage Area Network technologies like iSCSI. The standard FreeNAS documentation walks you through the basic configuration, but this book will tell you exactly what you should do to plan, work, and deploy FreeNAS. This book has a comprehensive troubleshooting section that will point you in the right direction whenever you need help. Also when you buy this book you are also supporting the FreeNAS Open Source project through Packt Publishing’s Open Source Project Royalty Scheme. In this scheme when Packt sell a book written on an Open Source project, they pay a royalty directly to that project. Therefore by purchasing this Learning FreeNAS book, Packt will have given some of the money received to the FreeNAS project. You can get a free chapter to download and read in PDF format. Chapter 2 Preparing to Add FreeNAS to Your Network.